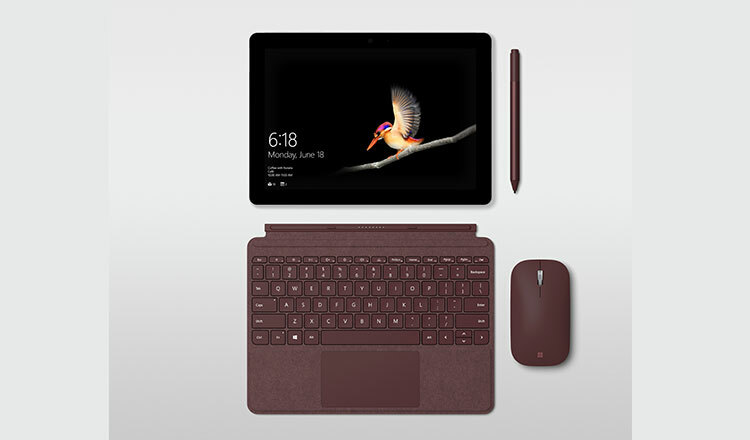 Earlier this week, Microsoft took the wraps off the new Surface Go, its smaller, less powerful version of the popular Surface Pro line of tablet PCs. The Windows 10-equipped Go packs a 10-inch screen, an integrated kickstand, and begins at a mere $399. In contrast, its higher specced Surface Pro and Surfacebook devices can cost between $1,500-$2,500. Microsoft have of course had to cut corners to reach this price point. The 10-inch display is dialled down to an 1800 x 1200, 3:2 aspect ratio display. The high-quality Magnesium frame however, remains. The Go also packs a front-facing cam and Microsoft’s proprietary Surface Connector port for charging. A first for a surface device is the addition of a USB-C 3.1 port, capable of charging the tablet as well as outputting video and data. The Go weighs in at 1.15 lbs and is 8.3mm thin, on par with Apple’s iPad devices. The Surface Go has an optional $99/$129 keyboard cover with Microsoft commenting the Surface Go Signature Type Cover provides a laptop-class typing experience thanks to a scissor key mechanism and 1mm of key travel. A large trackpad has also been squeezed in. The $99 Surface Pen can handle 4096 levels of pressure sensitivity, low pen parallax, low latency, and precision for accurate note taking, drawing and computer-aided design. The Go is powered by a low-powered dual-core seventh-generation model Intel Pentium Gold 4415Y processor. Options included 4 or 8GB of RAM and one of 64GB of eMMC storage or a 128GB SSD. Microsoft says it opted for the Intel chip due to the finely tuned balance between performance and battery life. The chips also allow for a thin, fanless device. Go is said to have up to nine hours of battery life. Microsoft said an LTE-equipped device is set to be available later this year. “In portrait mode, the screen was designed to render the page to the scale of most school textbooks, and in landscape mode, it can render pages side by side as if you were holding a paperback book in hand. At the approximate size of a composition notebook, writing on the screen feels natural and intuitive,” it adds. 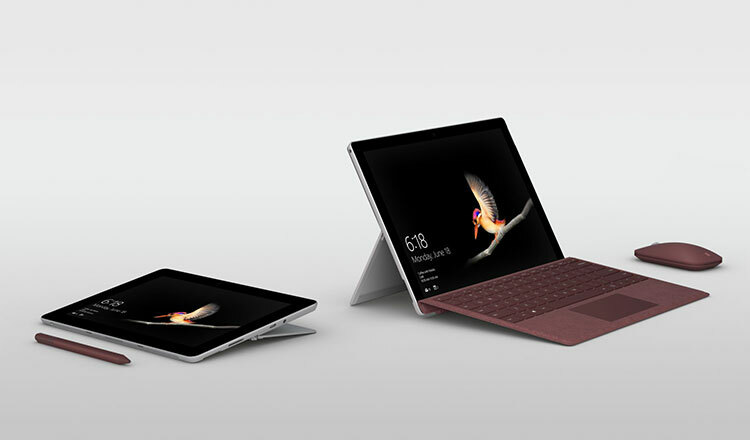 The Surface Go is now available for preorder and will be ready for shipping next month.